I have no idea what sparked my recent Kindle shopping expedition. It could have been influenced by Savidge Reads Sensation Season and all the talk of Wilkie Collins, Mary Elizabeth Braddon, and Susan Hill. OR…it could have been influenced by Carl’s RIP IV challenge that I have taken to like a fish takes to water (who would have thought that I had such a dark side?!) But whatever the influence, I took out my Kindle today and visited the Kindle store – in the comfort of my own home (it was a nasty day today with cloudy skies and a high of 48 degrees — I had no desire to get out in today’s weather). I also purchased 50+ works of Wilkie Collins for $4.79 as well. Other collections that I have downloaded samples, but not yet committed to the purchase, include: Leo Tolstoy, Fyodor Dostoevsky, Louisa May Alcott, Alexander Dumas, and George Eliot. I realize that the Kindle is not for everyone. And I am learning that the Kindle is not for ALL my reading needs. But as far as collecting the classics in a manageable format (I can take my entire classic collection with me at all times for under 2 pounds!) and at a fraction of the cost of traditional books, I simply cannot help but shout from the rooftops that I truly LOVE my Kindle! In case you have not heard about the Kindle, you can read my initial review of this eReader here. Now, if anyone knows how to add more hours to the day — I will be all set! Wow – you really did get some great deals! Thanks to you, I have so many classics downloaded for free on my Kindle. There is nothing that feeds the need for instant joy than to buy a book on Kindle and have it in about 15 seconds. I was at my book club Wednesday night, and when they announced the next read, I pulled out my Kindle and bought it right there! Speaking of The Woman in White, I'm reading it next! Looks like you have a lot of reading to do! The Queen of Bargain Hunting tiara and sceptor is being handed back to you! Enjoy all your classics. So funny, I posted my old review of the Kindle today. Interesting that you find the old classics easier to read on the Kindle, I have such a hard time not knowing where I am in the book overall that I get frustrated. I keep thinking if I had a shorter book I might like it better. However, if I did I would download all of these as well. Excellent tip! 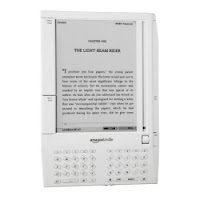 I so want a Kindle for Christmas! then I can download some of those great cheap books! I wish we could buy the Kindle in Canada. It's available now in Australia but still not in Canada 🙁 But congrats on your shopping spree – and on still having some gift certificates from last Christmas to use up! I don't have a Kindle either. I kind of go back and forth on my opinion of them-I guess I am just not sure I would really need one. But then I think that if I had one I might think "How did I live without one?"! You got some great books. I love LM Montgomery. I thought the benefit of the kindle was that you could get all out of copy right books for free? Can you not download them from the internet for free? I don't know much about e-readers, but did get the chance to play with a sony e-reader last week. That can read pdf files from the internet. Can the kindle not do that too? Sometimes I think it's a little too easy to buy books on the Kindle. I agree with Kathy. Those are amazing deals. This post was so helpful Molly as my Kindle just arrived yesterday. I charged it yesterday, and since today is pouring out and raw, I plan to play with it today. Definitely want to put some Collins books and Classics on, and I notice Outlander is just $2.? ?, so I may add that as well. Great finds, Molly! I still don't think I'm up for a Kindle–I like turning those pages and cuddling up with the book, but I'm starting to see those Kindles everywhere now! I definitely want a Kindle and this post has really fueled my desire. I had no idea about all these classics available for such a small price. That's even more reasons for me to have one, right? Glad you are getting so much enjoyment out of yours.